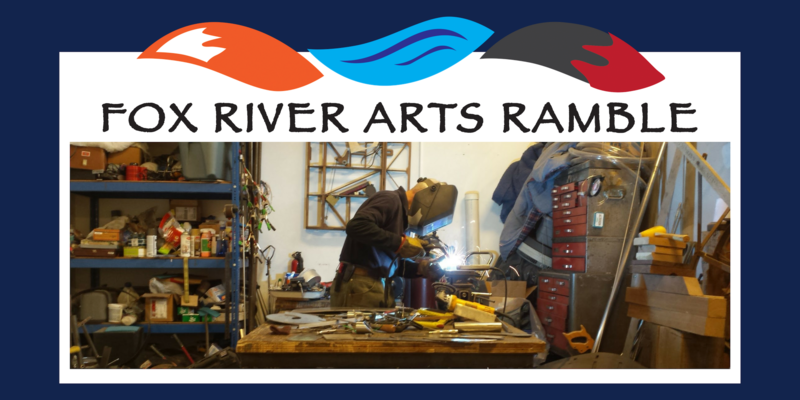 March 25, 2019 – Fox River Arts Ramble is a two-day self-guided tour of art in the valley. The Ramble (a collaborative effort of the Fine Line Creative Arts Center, the St Charles Arts Council, and Water Street Studios) is coming to the Fox Valley on Saturday, April 13 and Sunday, April 14 from 10 a.m. to 5 p.m. each day, with some musical performances and receptions in the evening. Collinson Fine Art: Take in Collinson’s paintings, photography and encaustic painting. Dawn Jones Studio: Dawn Jones is an abstract expressionist artist who creates with acrylic, watercolor, and enamel paints; inks; colored pencils; and pastels. Influenced by many of the masters including Helen Frankenthaler, Robert Delaunay and Mark Rothko, Jones has been creating for as long as she can remember and decided to become a full time artist in 2016. Felicia Raschke: View a selection of Raschke’s small works, ranging from 2x3 inches to 18x24 inches, including monoprint, collage, and collage over watercolor.